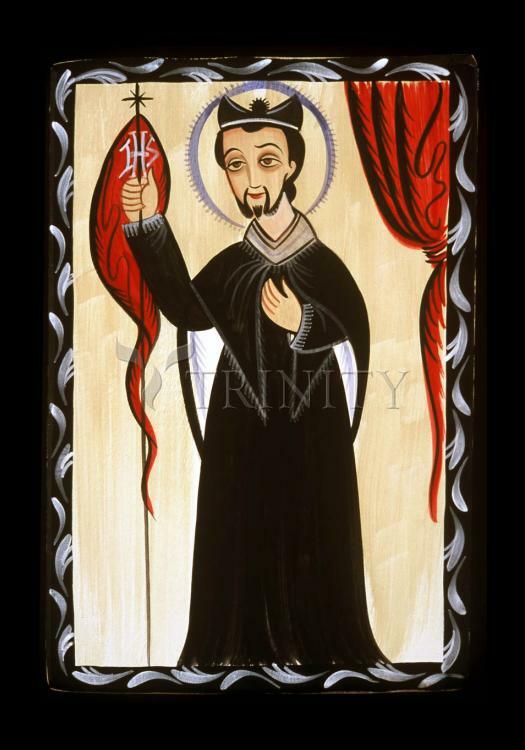 San Ignacio de Loyola was a 16th century soldier of Basque noble descent. After being wounded in battle he underwent a spiritual conversion while convalescing. San Ignacio became a priest with hopes of becoming a missionary in Palestine. He founded a religious order based on his Spiritual Exercises. His order, the Society of Jesus or the Jesuits, became known for their missionary work and developed a reputation for political intrigue.